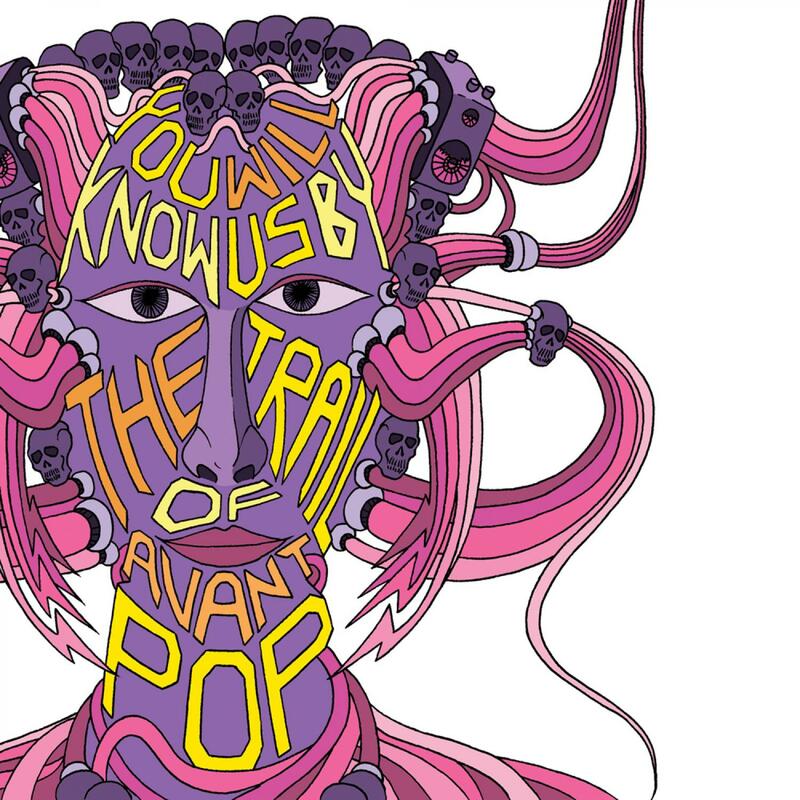 "You Will Know Us By The Trail Of Avant Pop"
From Dada to Disco, the commodification and recuperation of all popular culture has been accelerated via ever faster means of communication until we reached this point, the edge of no return. The musical avant garde, armed with cheap electronics and half forgotten dreams, fights on sporadically. Fresh battlelines are drawn in the subcultural sand, but from 20 jazz funk greats to Reg n’ Fearn in a fortnight, things move fast . Fires are quickly doused , and it’s back to Saturday repeats of Come Dine with me as the hacienda crumbles around us. So now we seek to join the urgent struggle to transform our sick, commodity-infested workaday culture into a more sensual, trippy, exotic and networked Avant Pop experience, and it is in this spirit that People in The Sky presents 'And You Will Know Us'. Proceedings open with young WARP star Bibio’s genre defying reworking of Wax Stag’s 'Folk Rock', an avant-audio manifesto in three parts. Things move swiftly on to the shimmering, leftfield cosmic antics of Colouring In’s 'Intergalactic Romantic', like Arthur Russell gusseted up and gazing up at the stars whilst lying in a London gutter. New York art troopers Telepathe manage the unlikely feat of combining stuttering, grimey rhythms, shoegazey atmospherics and one of their trademark songs without losing sight of their pop goals. Moscow dreamers Oko fuse East European melancholia with electronic disco for 'Can't You See'.